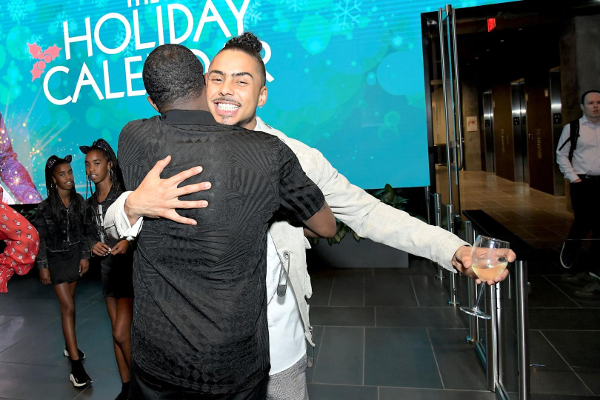 Quincy Brown is adding more titles under his movie career belt as he's starring in a new Netflix film just in time for the holidays. 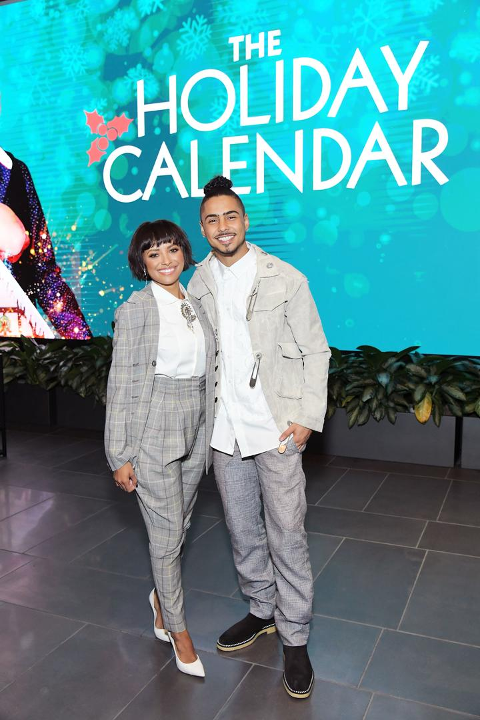 Q is starring in The Holiday Calendar, starring opposite Kat Graham and Ron Cephas Jones. It's about a struggling, but talented, photographer inherits an antique holiday advent calendar, the contents of which seem to predict the future. 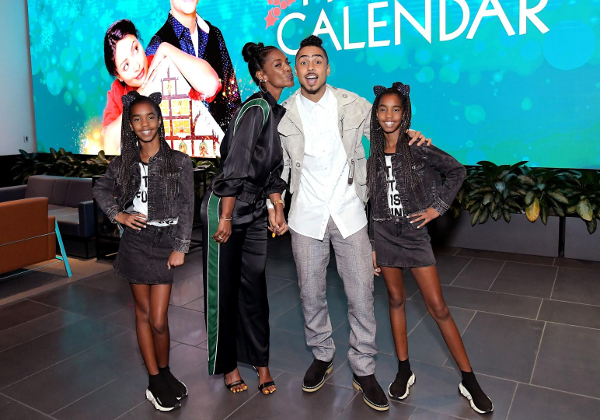 Before the holiday flick makes it way on Netflix, Quincy invited his whole family to celebrate at a special screening in Los Angeles. 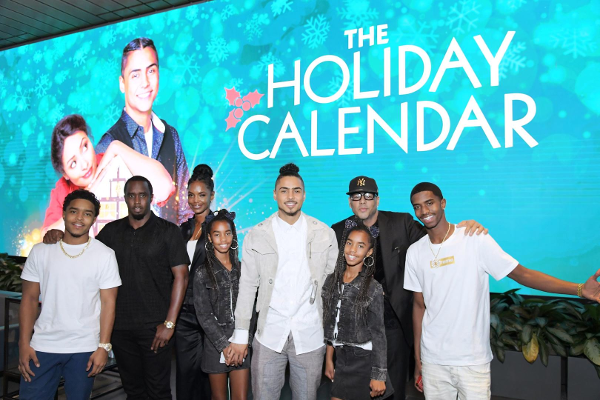 The Brotherly Love star had both of dads, Al B. 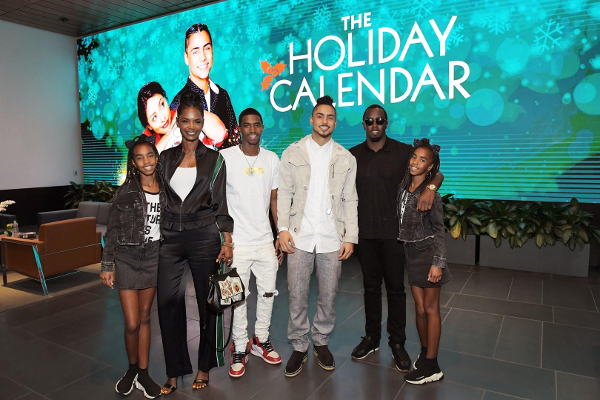 Sure & Diddy, his mom Kim Porter, his brothers Christian & Justin Combs, and his twin sisters D'Lila Star and Jessie James Combs. 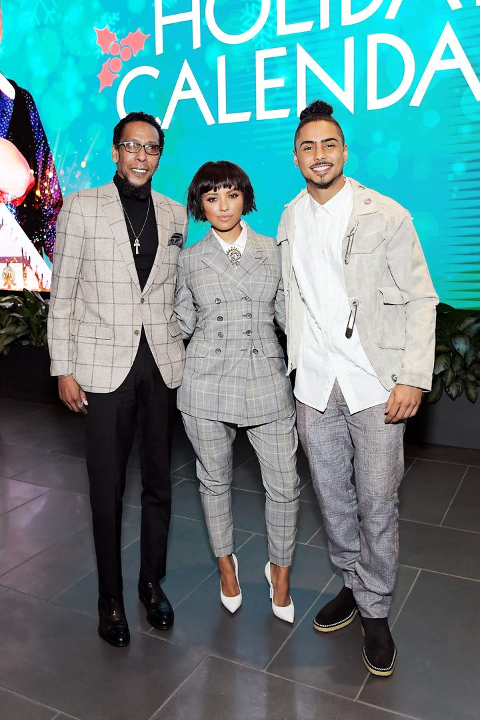 Q also snapped it up with his co-stars Ron and Kat. The Holiday Calendar hits Netflix tomorrow. New, black, and popping on Netflix this month - right on time for cozy season. This emotional docudrama tells the stories of Medal of Honor recipients from U.S. military operations in Iraq, Afghanistan, Vietnam and more. Premiering in time for Veteran’s Day, this docudrama explains the life of Edward Carter Jr., a career noncommissioned officer for the United States Army and one of the only African American recipients of the Medal of Honor during World War II. Prince of Peoria-- NETFLIX ORIGINAL When an easygoing 13-year-old prince goes incognito as a U.S. exchange student, he strikes up an unlikely friendship with a fastidious overachiever. This new series has a Coming to America vibe for the younger set, and stars up-and-comer Theodore Barnes as Teddy. Produced by Smokey Robinson, this is a beautiful animated series about an Imaginative boy named Ben who transforms his city by bringing colorful street art to life, armed with a magic paintbrush -- and the classic sounds of Motown. The Final Table is a global culinary competition show featuring the world’s most talented chefs fighting for a spot at the elite, Final Table made up of the greatest chefs from around the globe. The series features 12 teams of two chefs from around the world cooking the national dishes of Mexico, Spain, England, Brazil, France, Japan, the U.S., India and Italy. Each episode focuses on a different country and its cuisine, with celebrity ambassadors, food critics and the country’s greatest chef eliminating teams until the finale. In that last episode, only one of our competing chefs will win a place at the Final Table, joining the nine legendary culinary icons -- Enrique Olvera (Mexico), Andoni Aduriz (Spain), Clare Smyth (UK), Helena Rizzo (Brazil), Vineet Bhatia (India), Grant Achatz (US), Carlo Cracco (Italy), Yoshihiro Narisawa (Japan) and Anne-Sophie Pic (France). The series will be presented by Andrew Knowlton, James Beard Award-winning Writer and Editor at Large, Bon Appétit. Created and exec produced by Robin Ashbrook & Yasmin Shackleton. The production company is theoldschool. 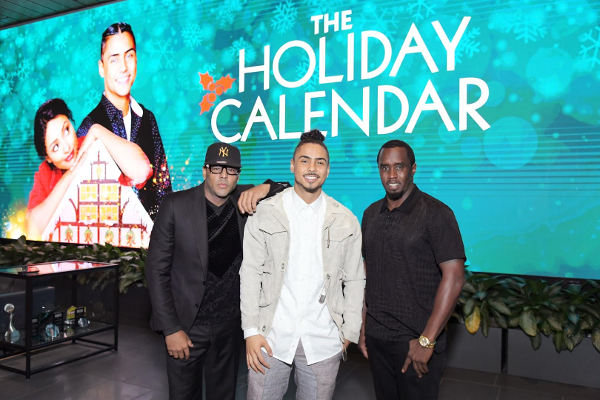 Diddy and his boys were all dressed up, having fun in the hallway before partying it up with Kevin Hart, Jay Z, Bey and more. 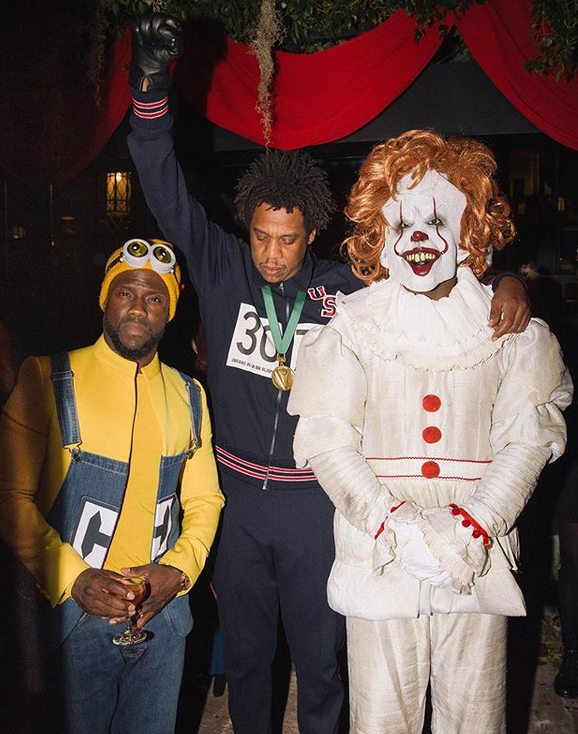 #Diddy had the scary clown costume on lock. It’s the same clown that scared him on #Ellen (LOL)! He hit up a Halloween party with #Miguel #FrenchMontana #JayZ and #Beyonce last night. Swipe! Ha! The "Diddy" costume is spot on. 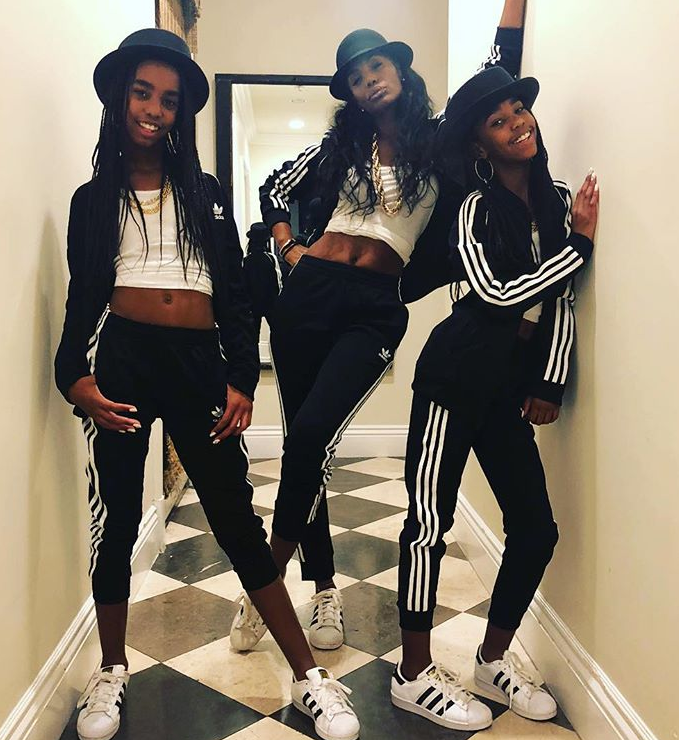 Kim Porter and the twins served up Run DMC vibes for Halloween. Swipe through our YBF Halloween gallery featuring all of your faves below! PREVIOUS: NeNe Leakes Responds To Deadbeat Grandma Claims In The Pettiest Way Possible + 'RHOA' Season 11 Spoilers!